95 years of tanning tradition – upheld and lived by owners and employees alike. From rawhide to finished leather – everything under one roof. Pioneers in environmental technologies with responsibility and respect for nature. Lead by friends from generation to generation – experienced, innovative, future-oriented. 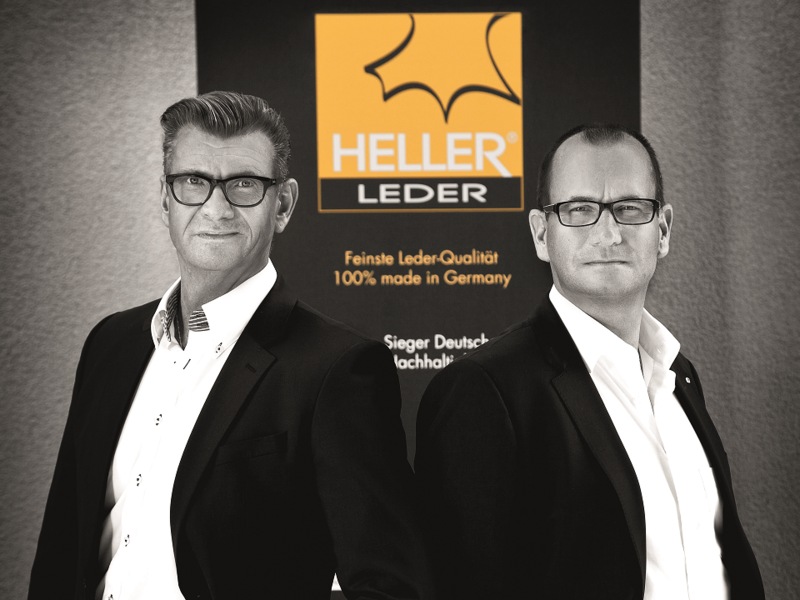 Since 1920, HELLER-LEDER has been manufacturing fine leather for exclusive living areas, classy office furniture and fast cars in Hehlen / Weser. As first tannery worldwide HELLER-LEDER was awarded with the German eco-label "Der Blaue Engel" for the entire upholstery leather production in 2010, as well as the GOLD rating of the International Leather Working Group, thus setting new standards in the leather world for sustainability and environmental protection. HELLER-LEDER is partner of the most prestigious brands and has received many awards worldwide, for example the TANNERY OF THE YEAR 2011 and the German Sustainability Award 2013.